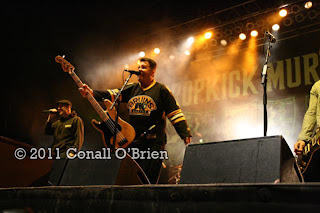 Kick it at the Bangor Waterfront Concerts Pavilion. 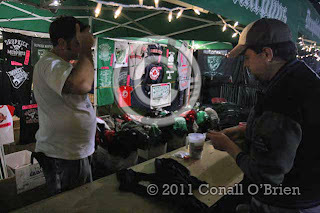 Labor day Weekend Saturday Sept.10, 2011. Article and Photographic images created by Conall O'Brien. 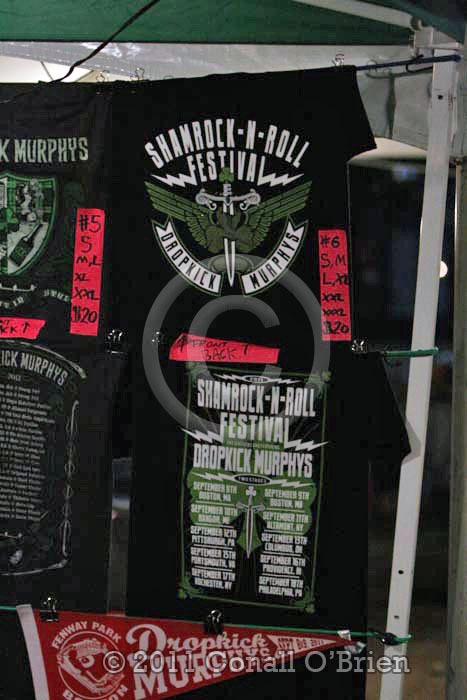 Click photos for large view. 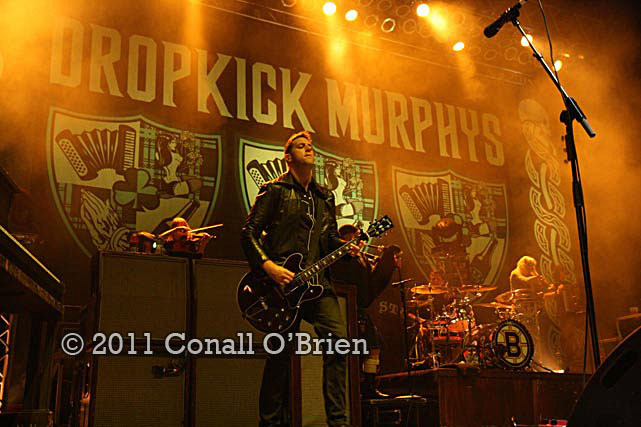 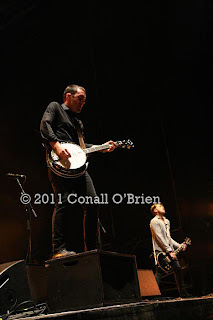 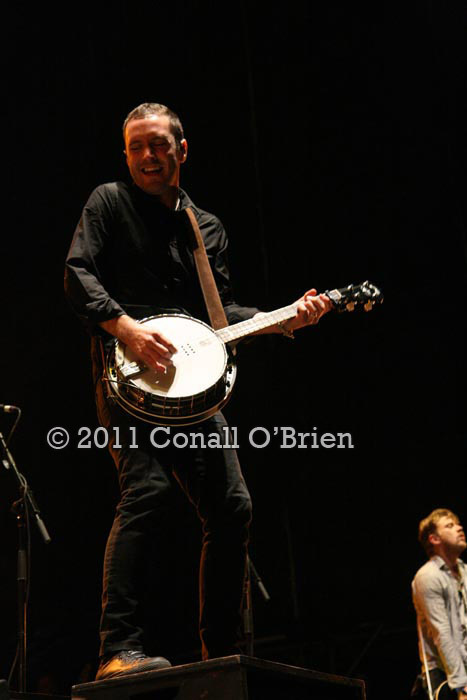 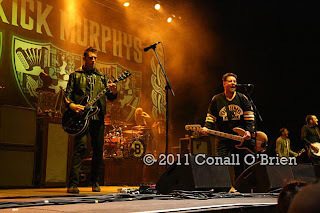 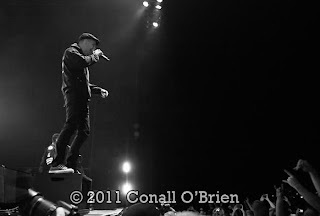 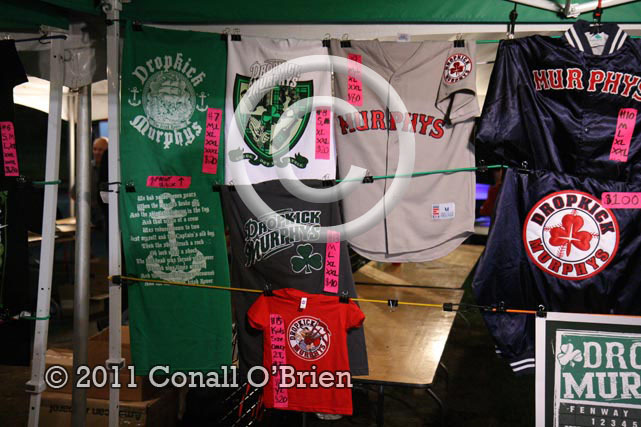 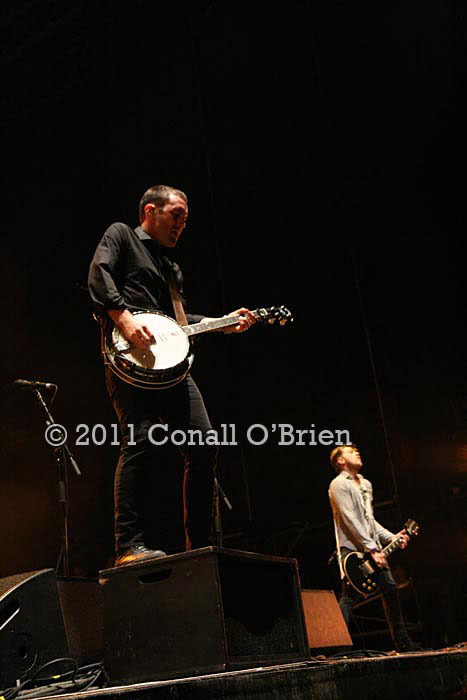 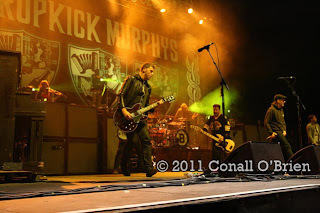 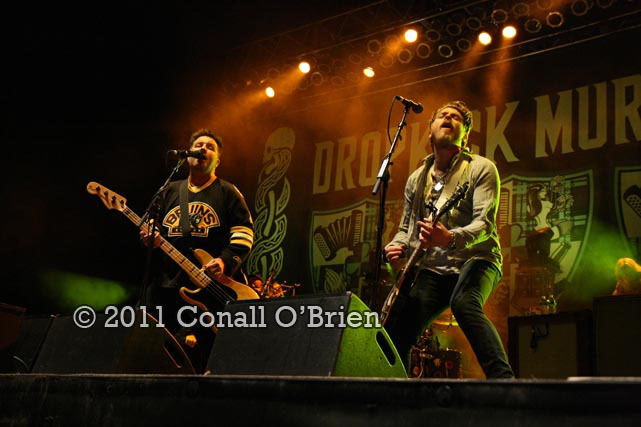 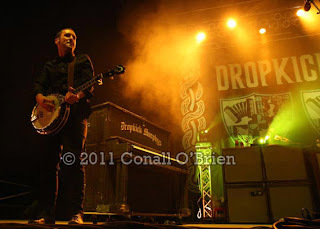 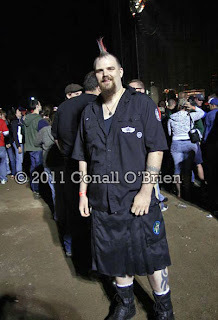 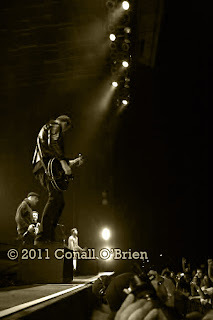 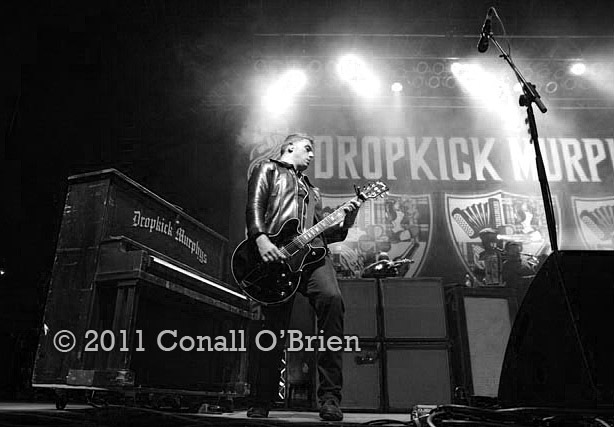 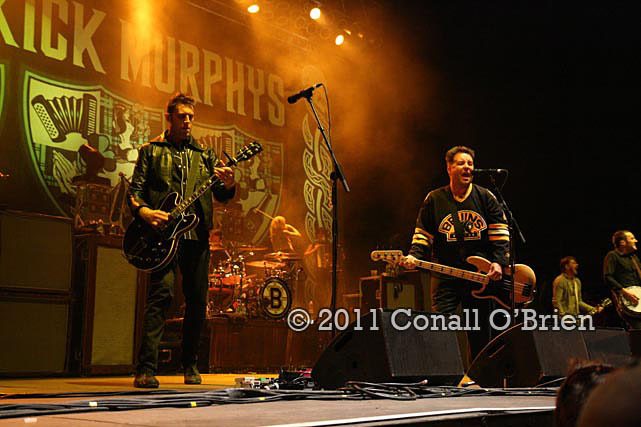 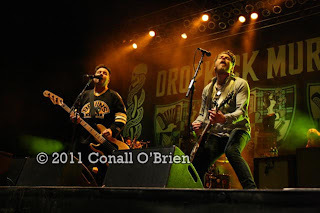 Dropkick Murphys return to Maine in 2011 (Bangor, Maine). Bangor Waterfront, the latest music act to launch their very own music festival. 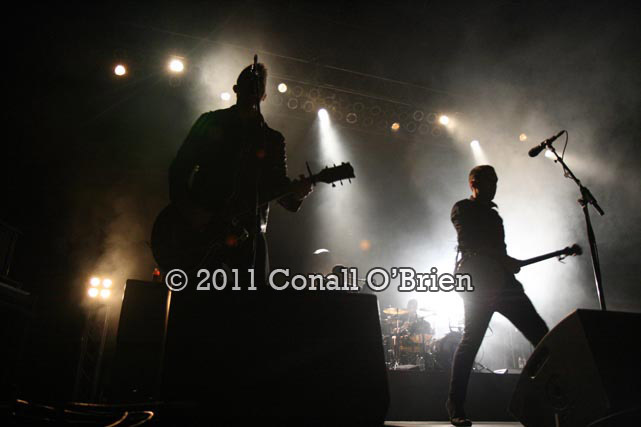 Dramatic Backlit scene to open the show. 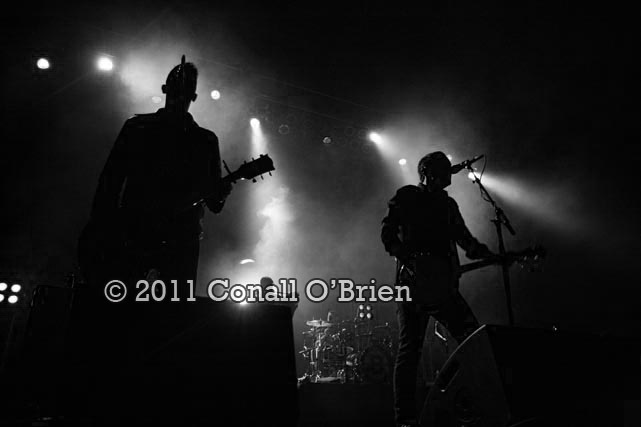 Black and White Backlit image of the Dropkick Murphys in Bangor, ME. 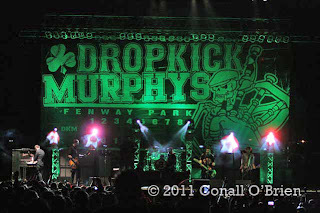 Waterfront Concerts in Northern New England was chosen as the second stop of the Shamrock-N-Roll Festival. Featuring Stiff Little Fingers, Street Dogs, Hot Water Music’s Chuck Ragan, The Parkington Sisters, and The Mahones - among local bands scheduled to appear on the two stages set up for the daylong extravaganza. In honor of the great sacrifices made by countless people as a result of 9-11, all first responders and emergency/ law enforcement personnel were given complimentary tickets for admission. Dropkick Murphys have been around for about 16 years and are the unofficial team of The Boston Red Sox, performing in the parade in Boston after the 2007 championship, and are 2 for 2 for playing at games when the Red Sox have won. 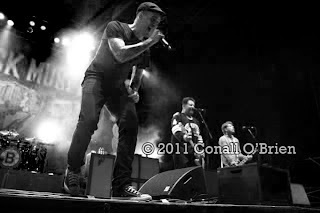 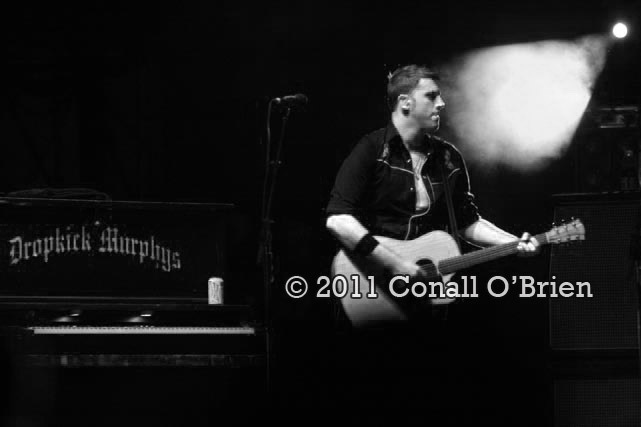 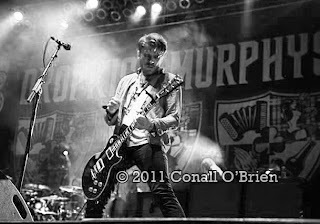 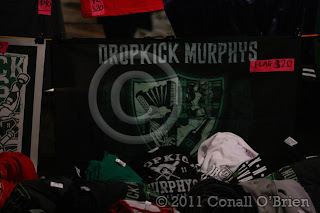 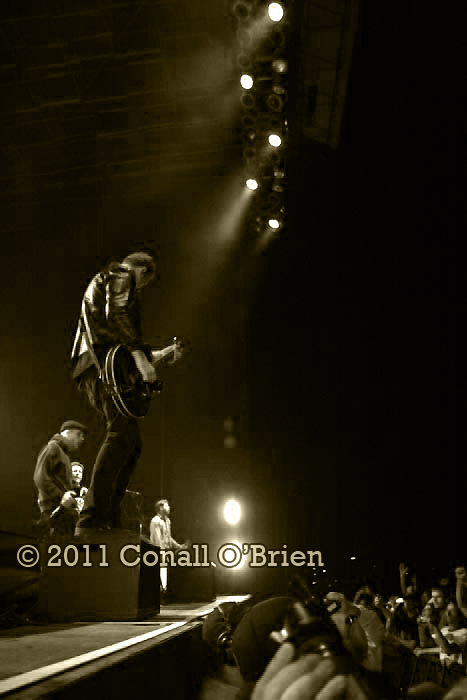 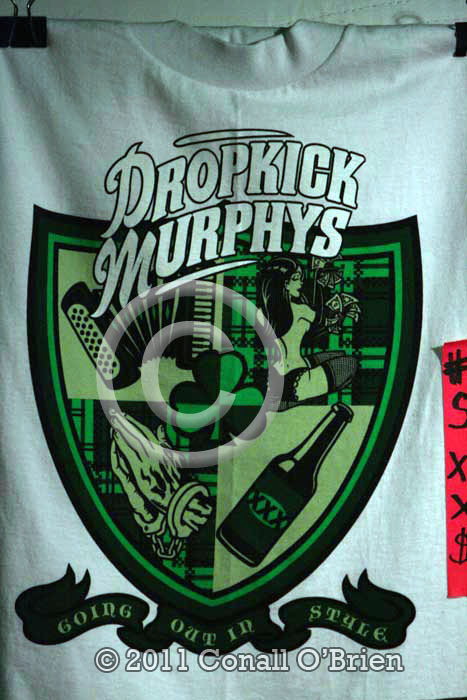 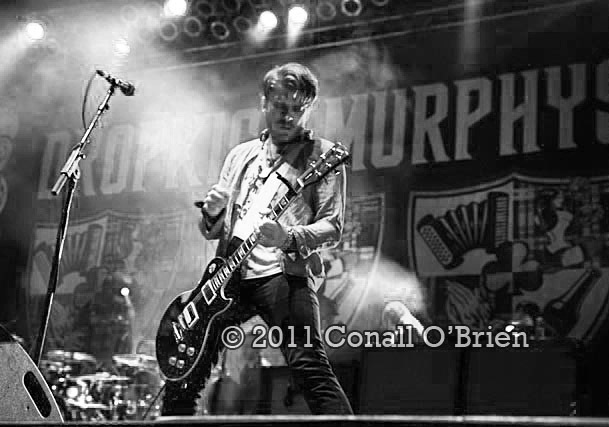 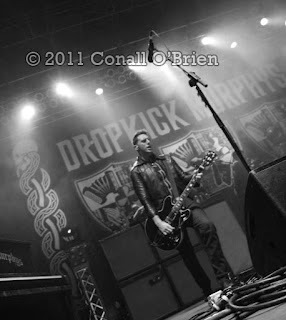 For other dates go to (click here) Dropkick Murphys website now. 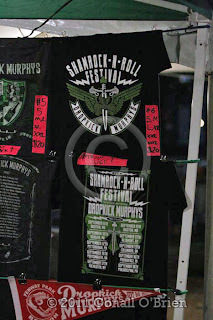 Only two shows remaining on The Bangor Waterfront 2011 schedule- Reba McEntire w/ Janedear Girls and then George Thorogood/ Charlie Daniels Band. 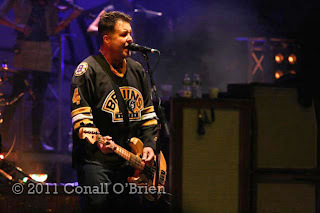 Then Lewiston, Maine is scheduled to get some love from the Waterfront Concert people with two shows scheduled at the Androscoggin Bank Colisee later this month and in December.